College football is almost as well known for its tailgating parties as it is for touchdowns and cheerleaders. But have you ever wondered where all that leftover trash and recyclables end up? 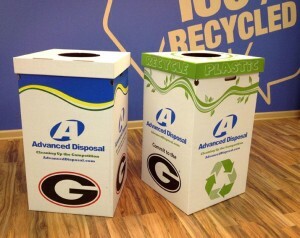 Well the University of Georgia Bulldogs can take a bow – because they’re making sure what can be recycled IS being recycled – thanks to Pratt Industries and our friends at Advanced Disposal Systems. Together, we’ve teamed up with UGA to provide corrugated recycling bins and trash containers at all of the Bulldogs’ home games. “We’ve been producing 100% recycled trash containers for UGA games for a few years now but this year we partnered with Advanced to produce the new recycle bins,” said Craig Bagley, GM at Pratt’s Atlanta plant. The company is providing about 2400 corrugated receptacles at each Bulldog home game – 1200 recycled bins and 1200 of the trash cans – throughout the tailgating areas and on the way into Sanford Stadium. The official kick off to the “Committed to a Clean and Green G” initiative began last Saturday at UGA’s season opener against Buffalo. 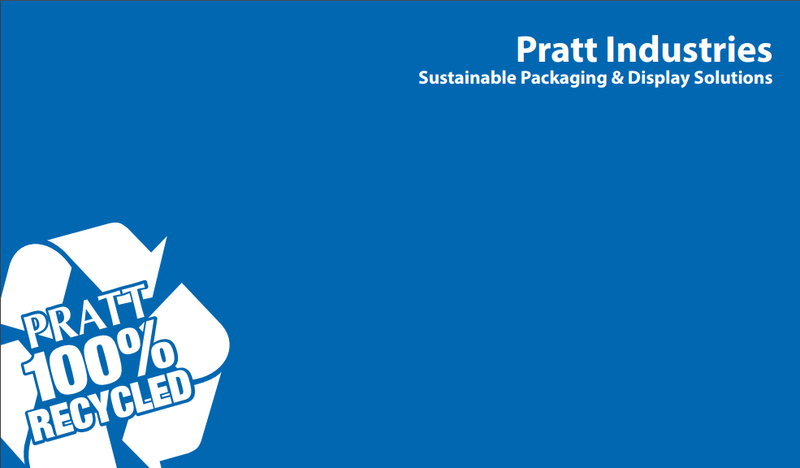 We at Pratt are proud to be partner with the Bulldogs and Advanced Disposal in making a difference to the environment.